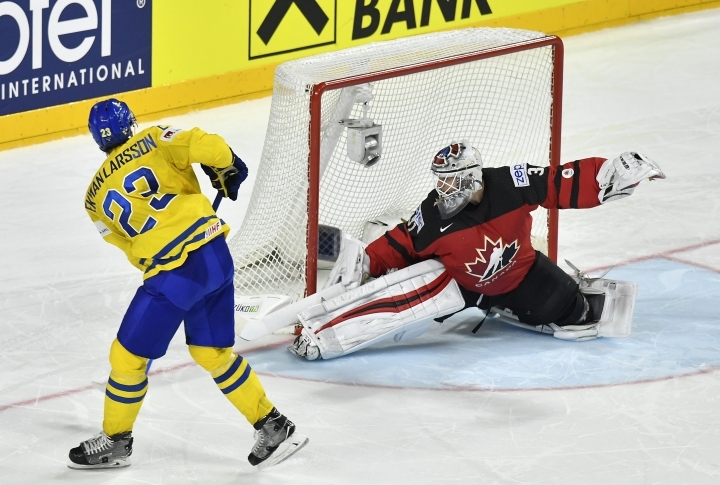 Telling himself to stay calm, Henrik Lundqvist stopped all three shots he faced in the shootout as Sweden dethroned two-time defending champion Canada to win the world hockey championship 2-1. 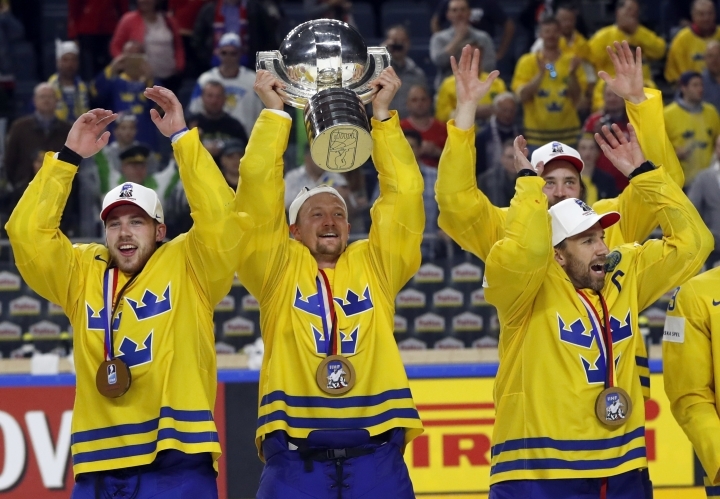 COLOGNE, Germany — Telling himself to stay calm, Henrik Lundqvist stopped all three shots he faced in the shootout and Sweden dethroned two-time defending champion Canada to win the world hockey championship 2-1 on Sunday night. "It was pretty nerve-wracking in the end, but we pulled it off," said Lundqvist, the New York Rangers star who made 41 saves in regulation and overtime to get it to a shootout. "What a game. It was so exciting. It's been an amazing week. 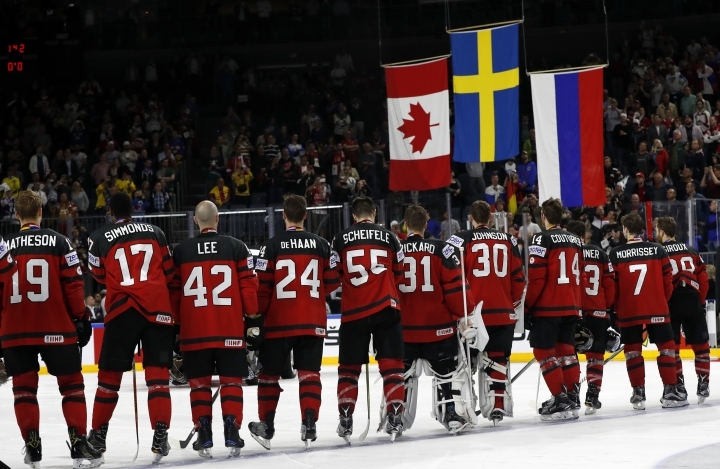 Lundqvist and Canadian counterpart Calvin Pickard, who saved tournament MVP William Nylander's first shootout attempt for Sweden, were outstanding in a game in which the Canadians narrowly outshot their opponents 43-42. 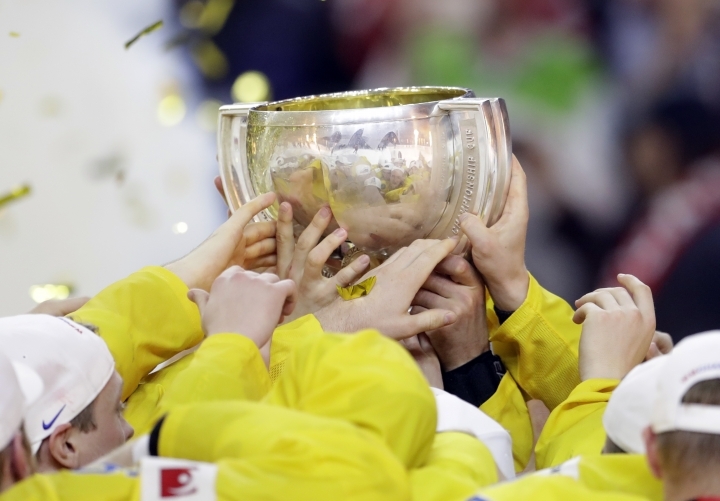 "This is how close it should be when you get to the final game," Swedish coach Rikard Gronborg said. 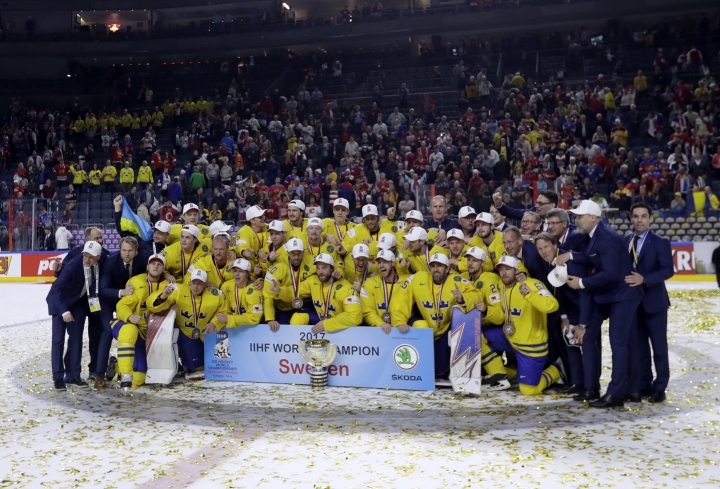 "It's a huge win for Swedish hockey." It was a strange goal from distance as the defenseman just lifted the puck and it somehow bounced in through Pickard's legs. The presence of Joel Lundqvist, Henrik's twin brother, may have distracted the Canadian goaltender. 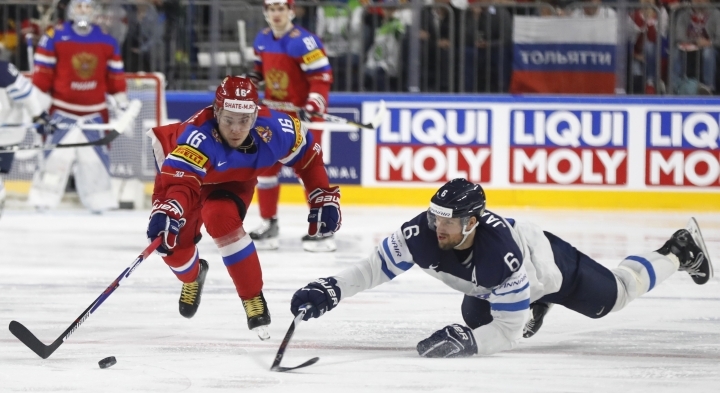 "It was a fluke goal," Swedish forward Marcus Kruger said. O'Reilly tied it in the third period on a rebound after an initial shot from Mitch Marner. 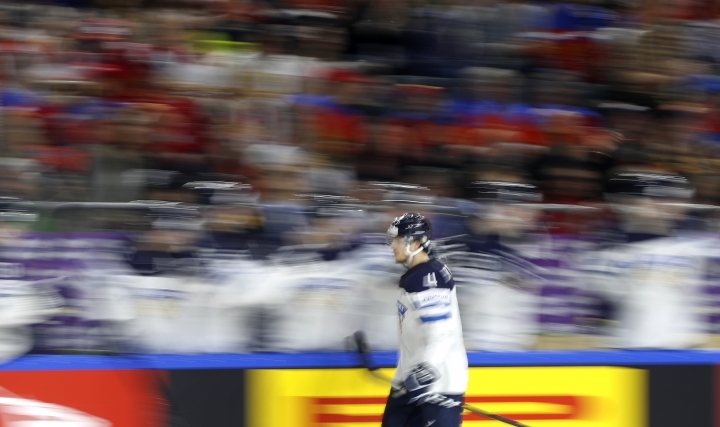 It was tense, and fans were left gasping as the action swung from end to end. Lundqvist said he hoped fans enjoyed now neither team sat back in the third period or overtime. 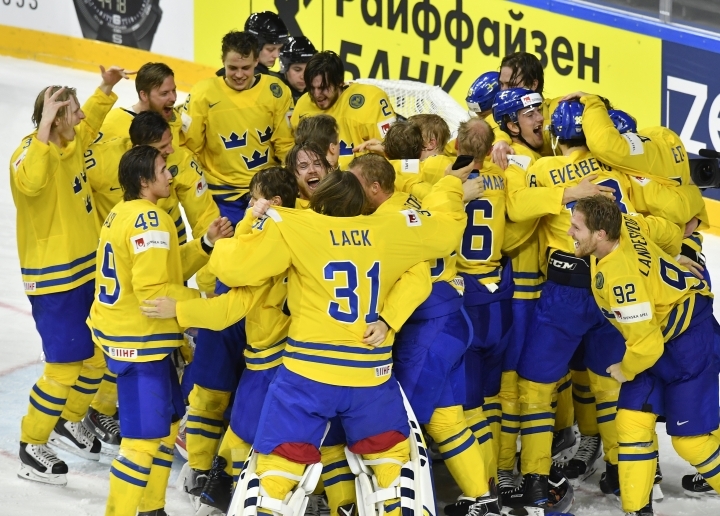 "I want to congratulate Sweden. 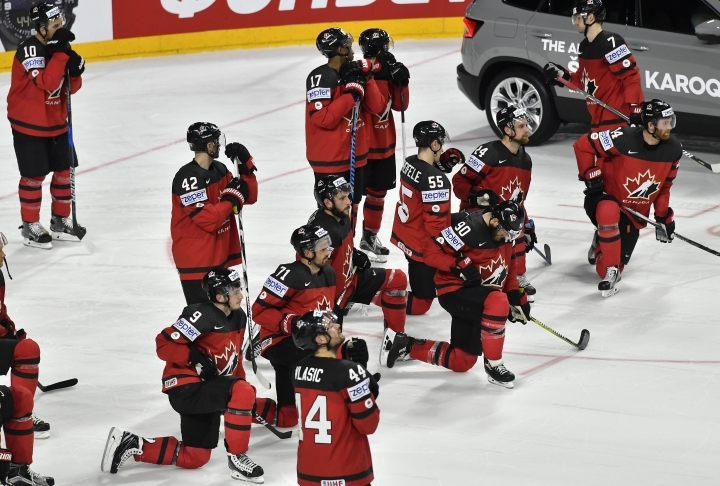 They were an exceptional team, it was a lot of fun to play them," Canadian coach Jon Cooper said. "If we were going to lose to somebody, I'm glad those guys won." 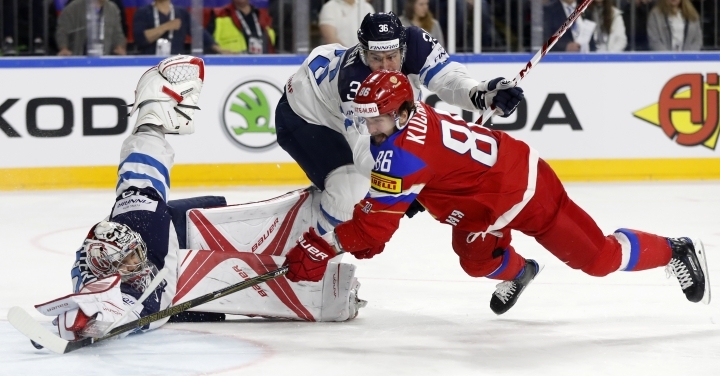 Earlier, Nikita Kucherov sealed a 5-3 win for Russia in the bronze-medal game against Finland. 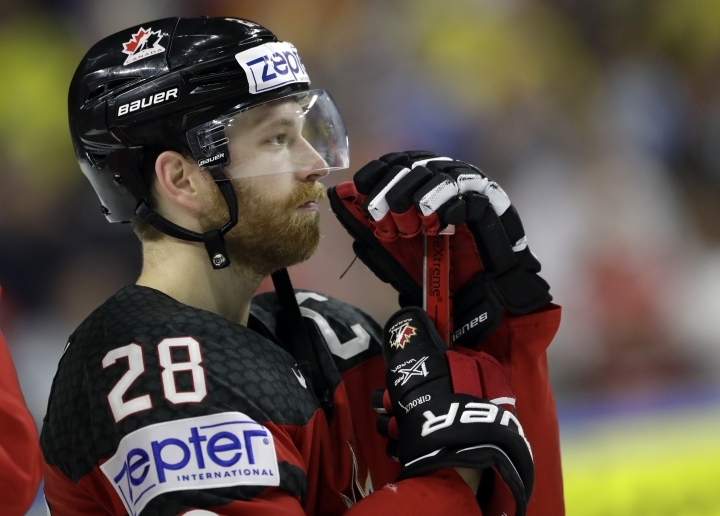 "It's not the medal we wanted," Russian coach Oleg Znarok said.